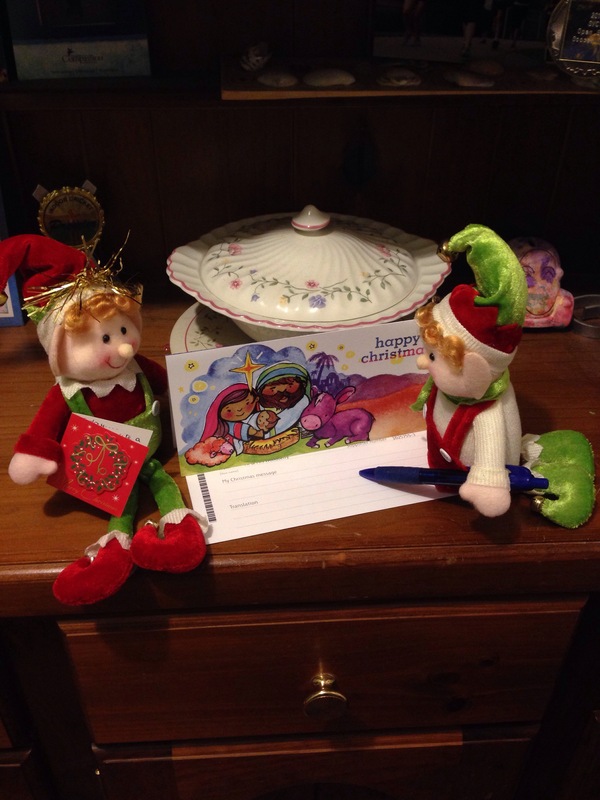 These little cuties are Elwyn and Elsie the kindness elves! They are the newest of our Christmas family traditions, and I’m having a lot of fun with these two! 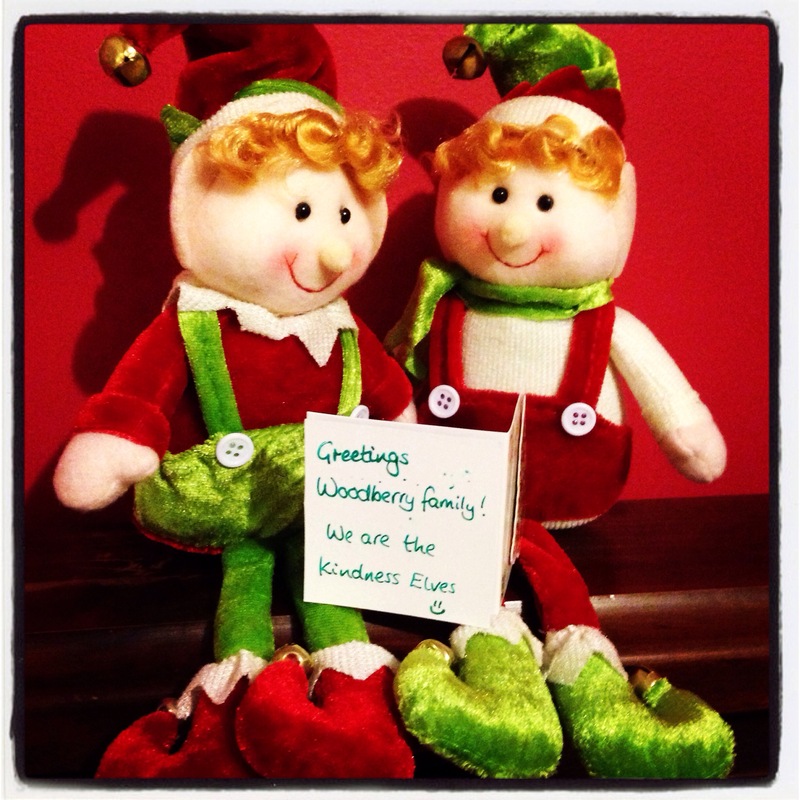 The idea behind the kindness elves came from a primary school teacher who wanted to focus on acts of kindness in the lead up to Christmas as opposed to the ‘behaviour’ focus of Elf on the Shelf. It’s only day 3 of our little guests visit, so we haven’t done many acts of kindness so far, but we have picked a flower for our teacher, written to our sponsor child, and today the children have gone to school on the look out for someone who looks sad or is alone at playtime. Their mission is to give them a smile, a hug (if it’s appropriate and they know the other person!) and a smiley face sticker. I have had fun posing the elves and writing the little notes and I know the children will be blessed in being kind to others. I have lots of ideas for the remaining 20 days, bake for our new neighbours, buy some animal food for our local shelter, donate some provisions to the local community food bank, pray for our family, friends, the world, read a story to their baby brother, make a cup of tea for Dad. The acts don’t need to cost a thing, they can be as simple as feeding the cat and giving her some love! In God’s kindness and love, He gave us Jesus, the hope of the world, saviour and friend.